The Press of Robert LoMascolo: Copperesque Pop Up Shop . . .
Copperesque Pop Up Shop . 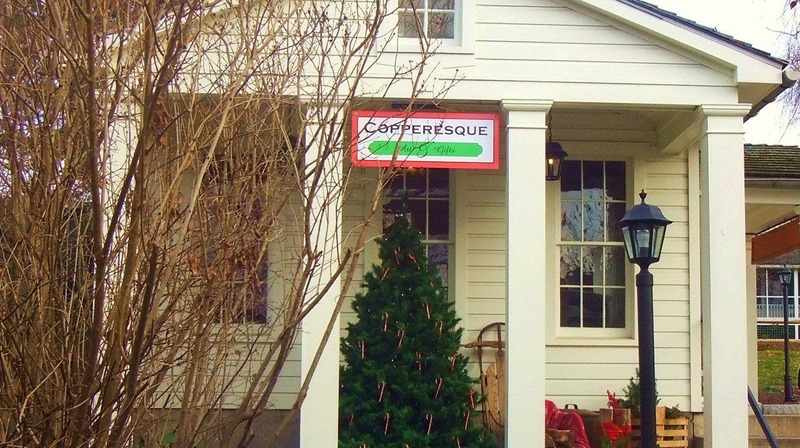 . .
Copperesque has opened a pop-up shop for the month of December! The shop features Diego and Kari Ruiz’s paintings, handmade ornaments, gifts, and my holiday letterpress cards! The shop is located on Cherry Ave in Aurora, New York. Come take a peek!